Your pic this friday hails from the X8 Prototype Gallery! A rough size scale chart comparing X with the main boss characters of X8. 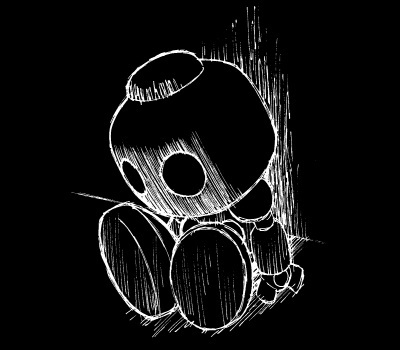 Read more if you feel like reviewing my ramblings about this particular image. You’re gonna read it? Really?! Aww, thanks! I was hoping you would. First of all, all these designs are early roughs. While a lot of the details are simplified, there are some differences that can still be picked out from the final designs, like Pandamonium (love that name!) having three rocket launchers on his back instead of two, and X has a shoulder insignia. The biggest differences by far can be found on the Yeti, whose head, arms, and scarf-like exhaust pipes are all completely different from his finalized appearance. To my eyes, Sunflower seems taller here than he does in the game, but perhaps that’s because he doesn’t stand up straight too much during battle. 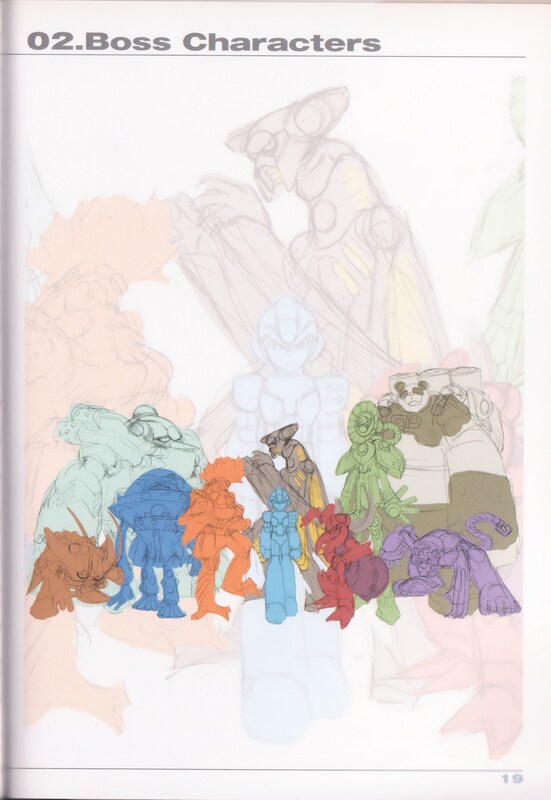 For me, the most interesting thing on the page has got to be that purple character on the far right! 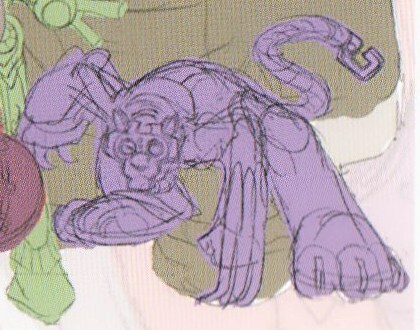 This boss looks to be based on some type of large cat (or possibly some other clawed, four-legged, long-tailed animal). His long claws, hunched over stance and the hook on his tail suggests to me an acrobatic, slash-attack sort of fighting style. Was he cut due to similarities to previous cat bosses like Neon Tiger or Slash Beast? Or were his claws a little too close to Mantis’ attacks? Mega Man X has been an 8 boss system for years, so the artist probably knew even as he was drawing it up that one of those characters was destined to be cut. But it would have been cool to see a 9 boss system for once! That cat could have made for a decent Noah’s Park stage boss on the revisit. Alas, it was not to be. And then again, maybe it’s for the best. Hard to tell from this image alone, but I do get the impression that this is the least bold and unique design out of all of them. Much as I hate throwing characters out, the developers may have had good reason to cut this fellow. You never know, maybe someday we’ll find out the story behind this guy. We just now learned about the X5 Maverick names, so anything’s possible, right? But, for now… So long, pussycat! We hardly knew you. 9 Comments to "X8: Off The Charts"
Depending of when this was drawn, it could be a early version of Wild Jango, Capcom deciding to use him earlier in Command Mission and setting the others to X8? Hmm. I agree with nonA about Jango. When I was writing up the part mentioning the other cat Mavericks, I felt like I was forgetting someone. Wild Jango, you totally slipped my mind. 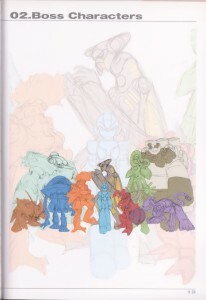 This boss’ head, arms, legs, and even tail are a far cry from Jango’s final form, but seeing how much some of the other Command Mission designs have changed from their early sketches, you guys might be onto something there! I wonder how early they were working on this stuff. That’s Neon Tiger, obviously. I believe his role was to be a Sub-boss, or possibly a counterpart for Pandamonium’s stage.